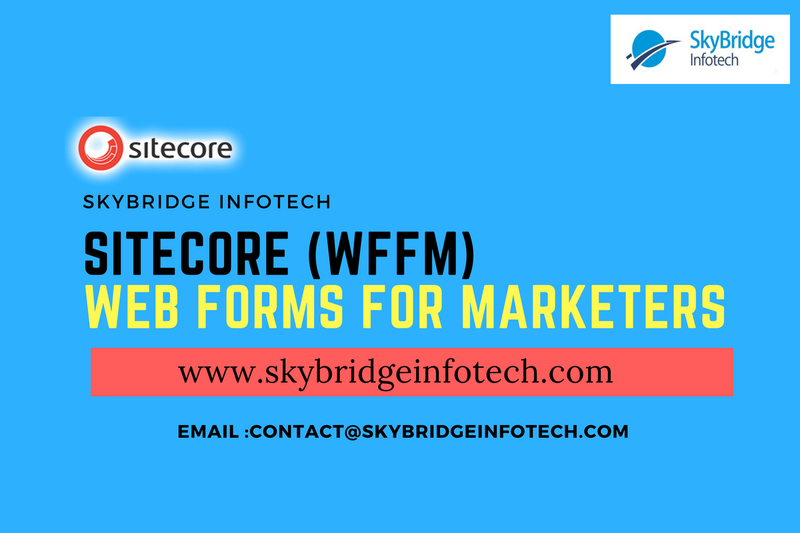 A powerful marketing tool, Sitecore Web Forms for Marketers (WFFM) is a great tool for capturing valuable visitor information and generating leads. Best of all marketers can carry out most actions without needing to get the tech people involved. Sitecore WFFM is easy to use. Forms created will automatically adopt your global site styles. While completed forms can be sent to any email address. Submit actions are simple to set up. You can either add a submission message to the form itself or re-direct to a thank you page. 1. Generate leads — Use Web Forms for Marketers to capture details (name, email, phone number etc.) whenever visitors download a white paper/asset or request information. By default, all data captured is saved to the Sitecore WFFM database. 2. Connect to your CRM — Sitecore has a free connector to Microsoft Dynamics CRM. All data captured from Sitecore WFFM can be saved straight into Dynamics. There are third party connectors available for other CRM’s such as Salesforce. 3. Gain valuable insight — Web Forms for Marketers works with Sitecore Analytics. a. ‘Register a Goal’ whenever a form is completed. b. Add a ‘Tag Action’ to record the email address of the sender. c. ‘Assign rules’ to profile visitors completing forms. Our Sitecore development team has immense experience in developing the variety of forms using Sitecore Web Forms for Marketers for our clients to achieve their marketing goal.